Achieving balance between form and function is more important than ever with modern appliances. 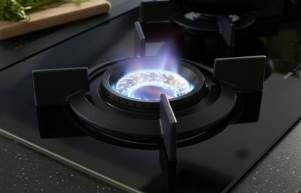 Contemporary ovens boast dozens of programs, modes and features that need to work in harmony to maximise cooking output and optimise taste, and ASKO ovens tick all the right boxes. Design features include easy-clean, seamless stainless-steel, reflective oven door-glass, and a hard-wearing ceramic surface for convenient all-over oven glass cleaning. How do you clean oven glass? 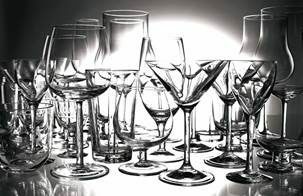 Glass is an amazing product, containing molecular qualities of both solids and liquids. This unique structure is why glass is see-through, yet forms a barrier. Glass can be clear, strengthened and reflective, as with ASKO Oven doors, where up to four door-glasses work together for impressive insulation while still providing a large, clear view into the oven for overseeing cooking progress. Your ASKO Oven selections include stylishly appointed appliances finished in black ceramic glass. 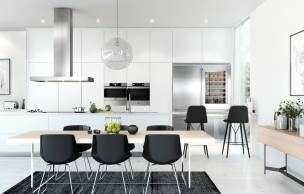 This sleek and hard-wearing surface is extremely popular in contemporary Australian homes, particularly new builds and kitchen renovations where ASKO products get to show off all their appeal. 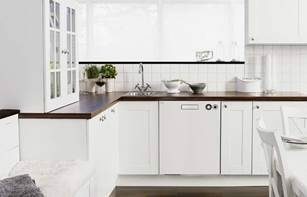 ASKO appliances boast seamless manufacture and fully integrated style, making cleaning the ceramic surface a one-minute task using a soft cloth and mild detergent. Glass doors are cleaned the same way where accessible, and can be easily disassembled and re-assembled for scheduled maintenance or an occasional freshen up. What is the easiest way to clean oven glass? 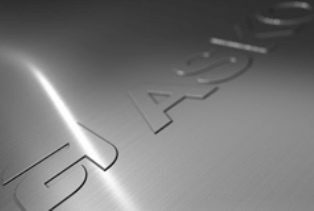 ASKO product development includes environmentally friendly solutions for cooking, cleaning and recycling. 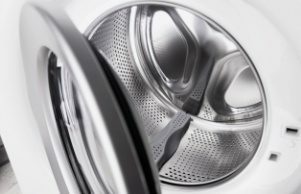 The focus on quality has been showcased since 1950, when Karl-Erik Andersson built his mother a superior, long-lasting washing machine. The ASKO ideals remain unchanged, and the opportunity to incorporate cutting-edge technology alongside recyclable materials is an ASKO specialty. The result is convenience, where the exterior oven door-glass and face are simply cleaned with a soft cloth and mild detergent. How do I clean the inside glass of my oven door? The inside glass of your oven door is even easier to clean. All you need to do is program the fully automated self-cleaning program on the user interface, and let the oven take over for you. ASKO ovens are designed for personalised style, including pyrolytic ovens, steam ovens, steam assist ovens and multi-functional ovens, all with special cleaning programs. Pyrolytic cleaning uses intense heat to burn food scraps and residue to ashes inside the oven. The program uses temperatures up to 500ºC, ensuring any stains on the inside door glass disappear, and ash is simply swept away when cleaning is complete. Steam ovens use alternative steam cleaning and aqua cleaning programs that blast the oven interior glass with powerful, targeted jets of piping-hot water and steam. How frequently should you clean oven glass? ASKO ovens remain remarkably cool thanks to multiple reflective glass panels within the door. Self-cleaning programs cover most regular situations, but the option to undertake more thorough maintenance and cleaning is also available. The oven door and door-glass can be removed and cleaned in a few simple steps. Step one: Open the door to the fully open position. Step two: Lift both hinge latches and pull them towards the oven door until they lock in at 45º. Step three: Gently close the door until it reaches a 45º angle. Step four: Remove the door by lifting and tilting it towards the oven. Remove the hinges. Step five: Separate the heat resistant door glass panels by shifting the clamps holding them in place, and remove the glass from the supports. Once separated, any blemishes or stains can be removed with the appropriate glass cleaning agent. With general care and occasional maintenance, your ASKO oven will perform optimally, satisfy everyone’s taste buds and always look its best.